I invested in a Wilson Cell Phone Signal Boosting device. 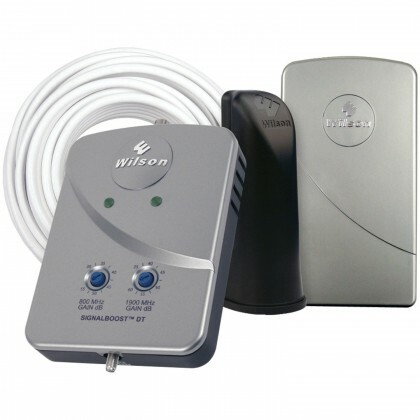 The way it works is a base receiver/transmitter is mounted outside or on an exterior window. The receiver/transmitter takes the cell signal and transmits it through a coax cable to an interior receiver/transmitter in another part of the building and it communicates with cell phones near that second receiver as if they outside where the main receiver is located. If you are in a building where you often experience dropped calls or poor signal quality it can be a big obstacle to communication. This device was around $200 when I purchased it. Now I always have a solid 5 bars, when the best I ever had before was two. It’s definitely worth the money to be sure my cell phone has excellent connectivity where I do all my business calls.